Sooo my picture should say it all… Good lime, bad lime. I just bought one and found one still in my fridge. I use limes on an almost daily basis… Lime juice is a common ingredient in many of my veggie dishes that are Spanish, Mexican, Caribbean inspired. They are literally powerhouses when we want to bring out the flavor of other food. Limes are such a great add on to any adult drinks. Tonight I’m sipping on Mojitos right from the comfort of my home. 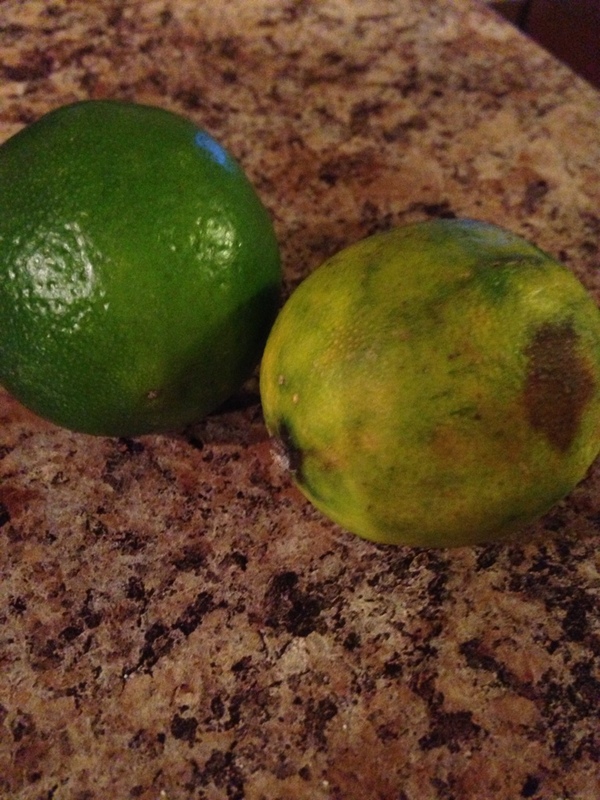 Fun Fact: Roll a lime or lemon to get the juices ready to be squeezed out. Limes peak season is from May through October. Pingback: Tropical Mango Salsa ~ A Fiesta in Your Mouth! | Mmm, Taste This!